Nine years ago we were famously quoted as saying, "In 10 years' time nobody will go into a physical store to buy something they know they need." We believed that e-commerce was such an obviously better way of shopping. We were wrong. 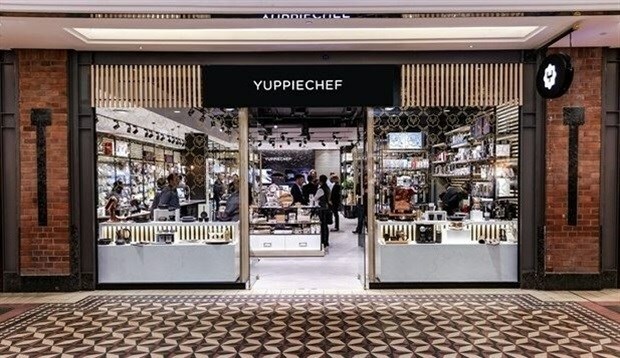 As of today, Yuppiechef has opened brick-and-mortar stores in four prime locations - most recently at the V&A Waterfront in Cape Town. Internationally and locally we’re hearing stories about the ‘death of retail’ – according to CBS Insights there have been 57 major retail bankruptcies in the United States of America since 2015 – some of which you’ve probably heard of – Sears, Nine West, Toys R Us to name a few. What we ask in response is, “In the last week have you been into a Pick n Pay, Cape Union Mart or Woolworths?” The answer is usually yes. The reality is that all of these retailers have online shops – so why didn’t you shop online? If the value proposition of shopping online is so unbelievably great, why did you still visit a physical store and purchase something – even though that physical store had an e-commerce channel and a fast way of delivering it directly to you? In South Africa, retailers focusing entirely on the e-commerce market are effectively losing out on 98% of spend. And that can’t be a good business decision. Over the past 12 years, we have learnt that getting people to browse, select and actually shop online in South Africa is difficult. E-commerce offers benefits, but not the same level of difference as some of the other digital transformations. Compared to writing and posting a physical letter, email is a no-brainer. As is online banking, travel booking and streaming movies. The e-commerce value proposition is a little bit more subtle and in some cases, it’s even less convenient and immediate than visiting a physical store. South Africans have retail-related outings threaded into our culture, and it’s a large part of what we do on a weekend. We take the family and we go to the mall to browse, have a meal and spend time together in a safe environment. On top of this, we never had a catalogue shopping heritage, which helped countries like the US be comfortable buying something from a picture and having it delivered by a functioning postal system. This is not to say that at Yuppiechef we no longer believe in the convenience, reach and range that digital shopping provides. We present these benefits of physical retail to explain why the move to e-commerce is not going be as swift or complete as many predicted it would be. We believe that the future of retail is omnichannel – serving the customer whenever and wherever that customer might be – whether that’s in an actual store or online, or a combination of many channels. Customers deserve better than being forced into a price-sensitive online bun-fight, or boring physical retail experience. Retail that will survive and thrive into the future is technology-rich, frictionless, flexible, and underpinned by great service. - Mobile Point of Sale systems that allow checkout anywhere in our stores. No more tills and queues to pay. - The ability to buy anything in our range, even if it isn’t in the store. - Enabling a variety of payments methods – Zapper, Snapscan, eBucks or Discovery Miles. - Access to information on all products in store via QR codes - watch videos with the in-store Wi-Fi, read the reviews of what other customers have written, and add the product to your wish list or wedding registry. - Frictionless movement and customer support when interacting with us online or in store. - The same price through all channels. There will never be a difference in price online or in a store, or one special in the store and one special online, because our customers see us as a single brand. - This is the most obvious for us – the flexibility in how to receive, collect and return anything going in any direction from wherever you are. That includes paying in-store and having a gift delivered to another city with a hand-written note. By being specialists in a category we can provide face-to-face or online expert advice from teams who are knowledgeable and friendly. 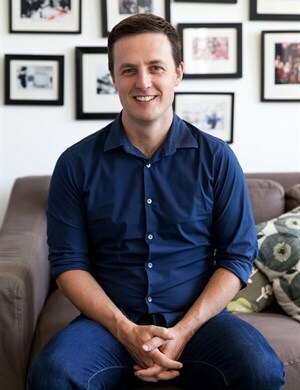 We have embarked on a major strategic shift, from seeing ourselves as Yuppiechef.com, the e-commerce site, to Yuppiechef, the modern retailer. Ultimately, it's about inviting our consumers to interact with us and experience our brand on their terms – and that trend will continue far beyond 2019. Am a Yuppiechef fan and have had good experience both online and in-store. However, I think there is a missed opportunity in inspiring consumers in-store where you can try to get people to consider more products by creating more experiential activities (e.g. cooking demos, a real kitchen set-up, a real dining room showcase). I have to say I expected more "magic" in your in-store experience rather than just a shop selling kitchenware, like an @home or Woolworths.